In the western part of the United States, monarchs migrate to California for the winter, traveling from Idaho and Utah. In 2017, the traditional California coastal sites like Pismo Beach, Big Sur and Pacific Grove hosted about 148,000 monarchs, but in 2018, volunteers counted approximately 20,500. Compare that population to the 1980s, says one of the study’s researchers Cheryl Schultz, an associate professor at Washington State University Vancouver. At that time, an estimated 10 million monarchs spent their winter in California. According to experts, butterflies are incredibly significant to the state because they quickly respond to ecological changes and warn us about the health of an ecosystem. Plus, they pollinate flowers. 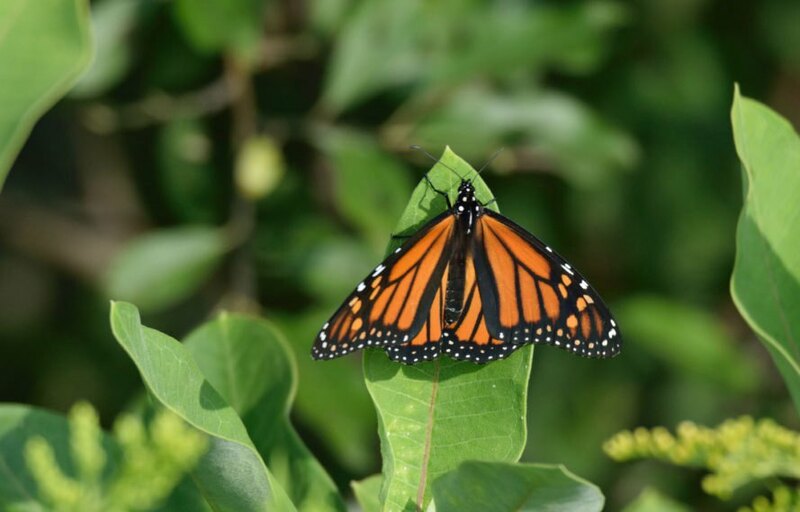 According to biologist Emma Pelton, if nothing is done to preserve the western monarchs and their habitat, monarch butterflies could be facing extinction. They require milkweed for breeding and migration, but in recent years pesticide use and urban development have caused the acreage of milkweed to decline. Unusually harsh weather has also threatened the monarch’s existence. Between 2011 and 2017, California has experienced one of the worst droughts on record, and this has caused ecological devastation among forested towns and fishing communities because hundreds of millions of trees have died. Not to mention, the recent deadly wildfires that have devastated the golden state. However, the declining monarch population can be reversed if citizens and governments act now. Pelton says that gardeners can plant milkweed and towns can help by planting new trees to help monarch butterfiles 20 years from now have a new place to winter.